M.A. Khader committee to oversee the merger of Higher Secondary Directorate with DPI. 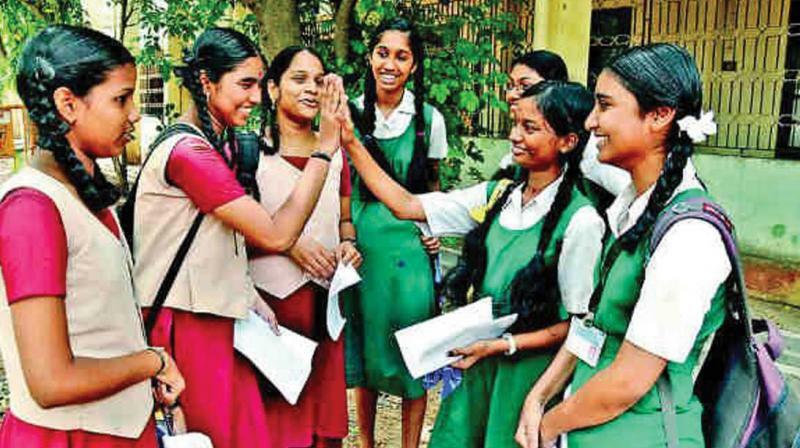 Thiruvananthapuram: The state government’s move to bring all sections of schools under one administration by merging the Higher Secondary Directorate with the Department of Public Instruction has kicked up a row. The move is in line with the decision of the Union Ministry of Human Resource Development to merge the Sarva Shiksha Abhiyan (SSA) and the Rashtriya Madhyamik Shiksha Abhiyan (RMSA). Central assistance will be available only if high school and higher secondary sections are unified under one authority, it is said. The state government has appointed a committee headed by Mr M.A. Khader, former director of the State Council of Educational Research and Training (SCERT), to look into the merger, which has been opposed by higher secondary teachers because they feel that they would be brought on par with the high school teachers. Chief Minister Pinarayi Vijayan had said on January 30 that lower primary, primary, high school and higher secondary sections will be brought under a single authority. The present system of multiple heads in one school – a headmaster or headmistress for the school and a principal for the higher secondary school-- will go with the introduction of the new system. Mr Khader told Deccan Chronicle that merging all the streams under a single administrative set-up was needed to improve the quality of teaching. However, the committee had held only one sitting. “We will also conduct meetings with the stakeholders before arriving at any decision,” said Mr Khader. One advantage of bringing all sections of schools under one administration is that all students will be able to use facilities like the laboratory and the library. However, the higher secondary school teachers under the banner of the Federation of Higher Secondary Teachers’ Association boycotted the valuation of Plus-Two answer papers on April 11 in protest against the government’s move. Mr S. Manoj, general secretary, Aided Higher Secondary Teachers’ Association, said that there was an agenda behind the committee. Mr Khader, who had headed the committee appointed by the Kerala School Teachers’ Associ-ation, was heading the present committee with a member being parishad activist A. K. Ramakri-shnan. The majority of the teachers had boycotted the valuation camp on April 11. Only junior teachers and those on probation did not join the boycott, said Mr Manoj. At present, states like Tamil Nadu, Karnataka, Telangana and Andhra Pradesh have different authorities for higher secondary and high schools. Karnataka had even a separate minister for higher secondary education. Mr Pinarayi Vijayan has convened a meeting with teachers organisations to discuss the issue on May 20, he said. Efficiency cannot be increased by bringing classes VIII, IX, X, XI and XII under a single umbrella. The teaching methodologies in these classes are different, he said. He alleged political motives behind the move. As many as 40,000 students had joined higher secondary schools from CBSE and ICSE schools. However, even after the much-publicised general education rejuvenation mission, there was a drop of 20,000 students in classes 1 to X. The integration of high schools and higher secondary education under a single director is to cover up the failure of high schools to increase the enrolment even after the mission, Mr Manoj alleged. Mr N. Sreekumar, president, All-Kerala School Teachers’ Union (AKSTU), said that the proposal was to bring the entire school education sector under a single authority dispensing with different authorities like higher secondary, vocational higher secondary and high school. There was no plan to merge the higher secondary schools with high schools. The higher secondary teachers fear that they would be brought on par with the high school teachers, which is not correct, Mr Sreekumar said.